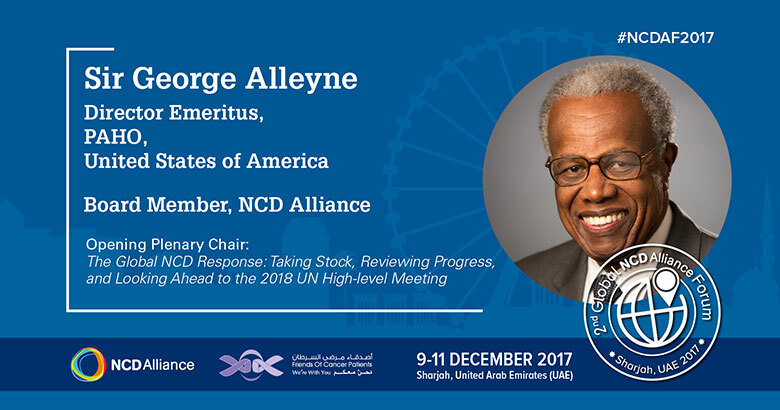 Global NCD Alliance Forum 2017, 9th-11th December, Stepping Up the Pace on NCDs: Making 2018 Count. 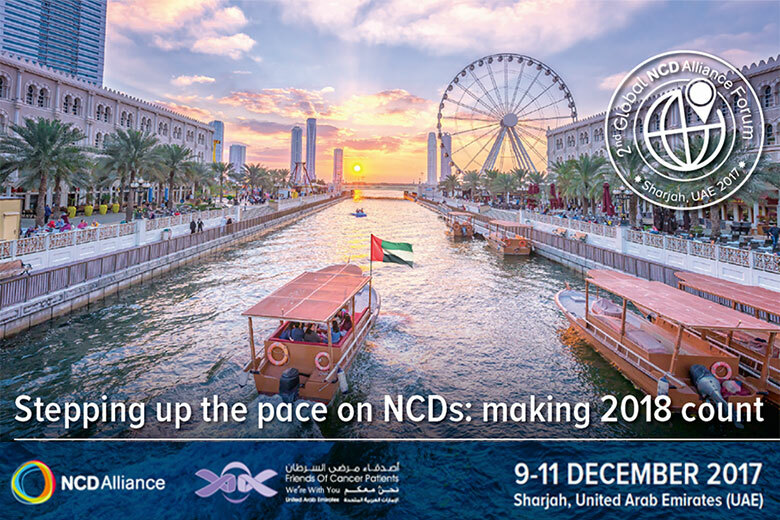 The second Global NCD Alliance Forum took place 9th-11th December, 2017, in Sharjah, UAE. 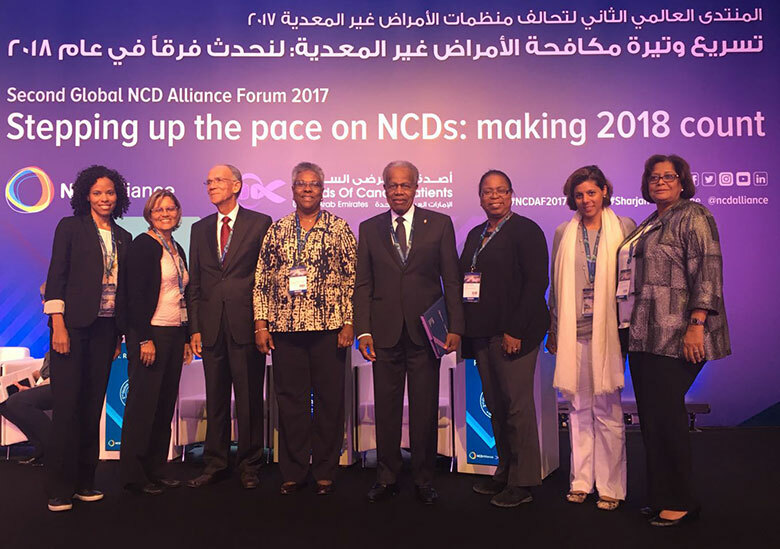 It provided a prime opportunity to unite and mobilise NCD civil society ahead of the 2018 UN High-level Meeting on NCDs. It was timed to allow for strategic priority setting and advocacy planning for the 2018 UN HLM on NCDs. 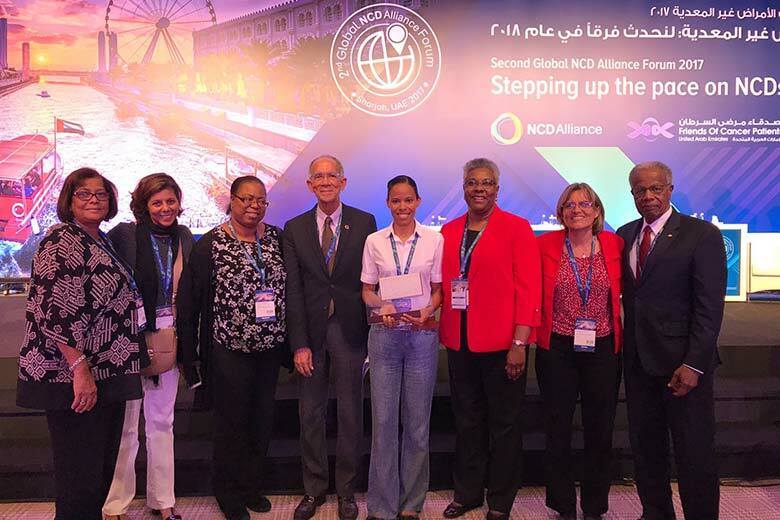 The forum brought together representatives from NCD civil society from across the world, building links with multilaterals, international NGOs, select government representatives and NCD experts. 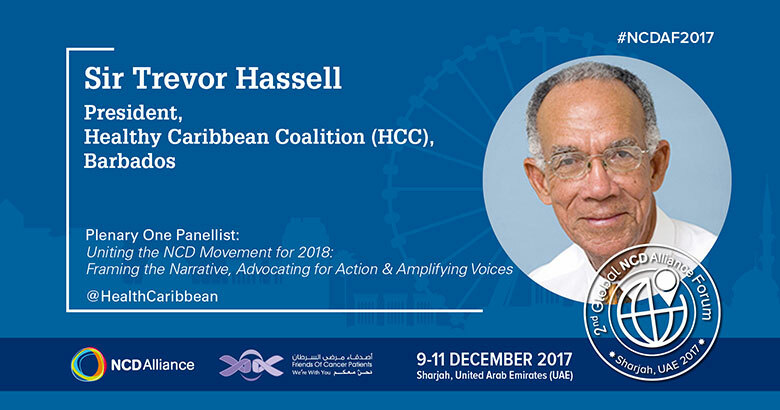 Speakers included HCC President Sir Trevor Hassell and HCC Patron Sir George Alleyne. The Caribbean region was well represented. It was an interactive forum, providing a safe space for knowledge exchange, sharing good practice, and capacity building for NCD advocacy. The regular updates were shared through Twitter, the official Forum hashtag was #NCDAF2017, it included the sharing of highlights, links to newly launched resources, information about speakers, updates, recaps from each day, photos and live coverage.